This shop has been compensated by Collective Bias, Inc. and its advertiser, Walmart Family Mobile. All opinions are mine alone. 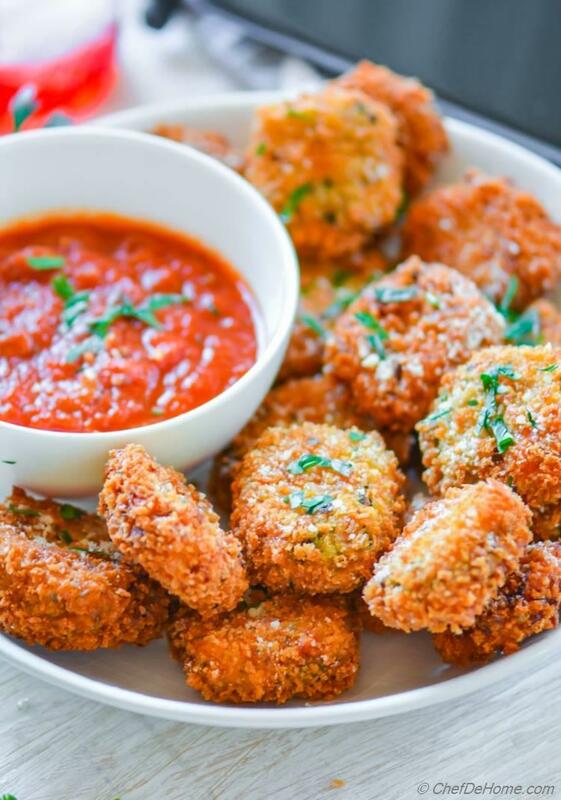 Lasagna Bites, bite size spinach lasagna pieces, seasoned, breaded and fried, served with marinara dipping sauce for delicious summer movie-time snack. Whenever I have my friends and family coming over for weekend movie time, I always ready some easy snack options which kids and adults will equally enjoy. 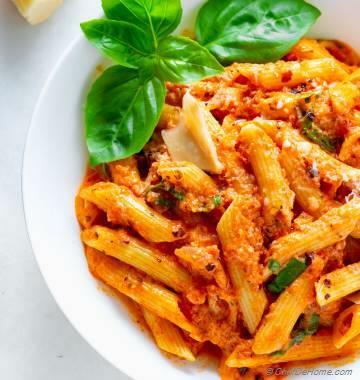 Since everyone loves lasagna, these bite size Italian favorites were my first choice for a very special family spending summer vacation with us. 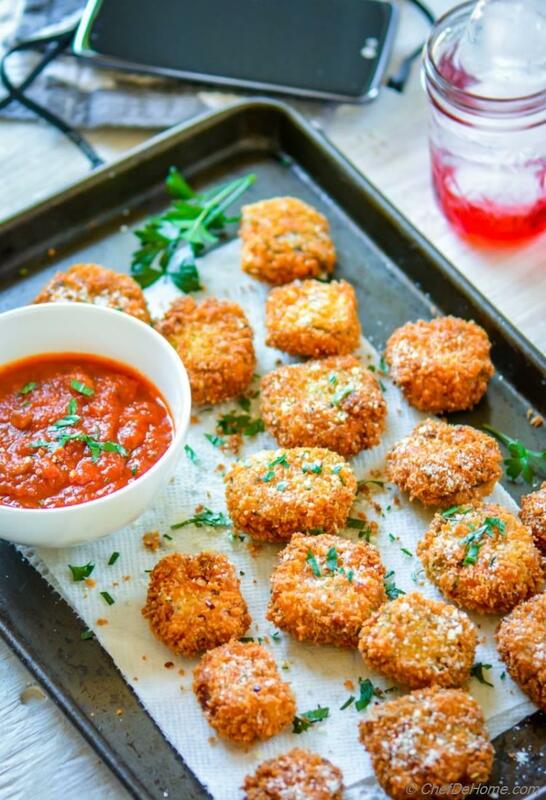 Lasagna Bites are not so spicy yet very flavorful with crispy coating, sprinkle of Parmesan cheese and warm marinara sauce for dipping! 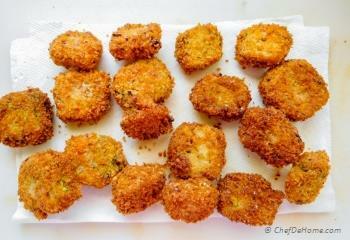 Plus it is very easy to fry a batch for snacking anytime. 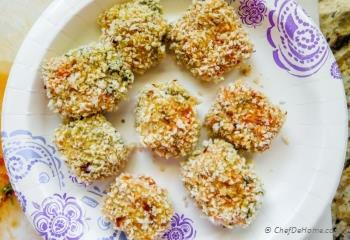 Just 10 minutes prep and this delicious snack fly from kitchen to snack table! Luckily all of these are my favorite too. Ice Age has been my favorite movie of all time! I was also so excited to read "The Jungle Book" in the list. :) I grew up watching Jungle Boy Moglie and his friend Baghera in an Indian TV serial. When recently, The Jungle Book movie came, I watched first day first show!! Loved the cast and fell in love with "The Jungle Book" again! No wonder it's kids favorite! 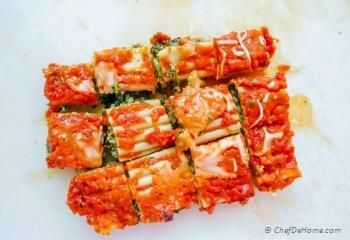 Whole weekend I working on delicious recipes such as these Lasagna Bites and few more.. I used my Walmart Family Mobile to listen to music! These are going to be on my movie-night-snack-platter coming weekend and I'm so excited that I could share this recipe with you too!! Today, this Lasagna Bites recipe for my family movie night has been sponsored by Walmart Family Mobile! I'm all excited to spend summer with our friends and their two little angles coming next week. And can't wait to see all those wonderful movies! I would love to hear how you planning to spend vacations this summer?! Leave a comment below and share with me. 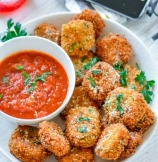 Here are few more Movie-might Appetizers from my recipe repertoire! Cook some and enjoy! Total Time 25 minutes Prep Time 10 minutes Cook Time 15 minutes Difficulty Easy Yields 14-16 Lasagna Bites Serves 5 Notes No. of servings depends on serving size. 1. Slice lasagna into 14-15 bite size pieces. You can also use package spinach lasagna. cook and then refrigerate for 20 minutes so it is easy to cut into pieces. If using fresh homemade lasagna, it is best to make it night before and refrigerate overnight. This yields firm pieces which are easier to cut and fry. 2. 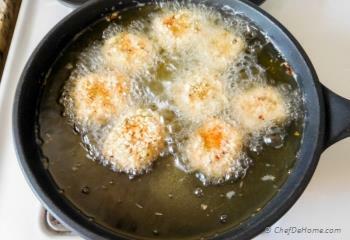 Set oil to heat in a dutch pan or deep fryer. 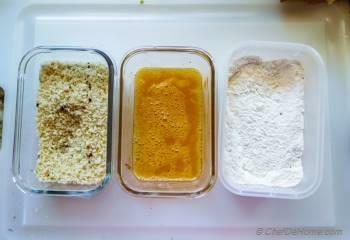 In three medium bowls/plates, add flour, eggs, an breadcrumbs seperatly. Season breadcrumbs with Italian seasoning, salt and pepper. Also season flour and eggs with generous 1/4 tsp each of salt and black peppers. 3. Dredge each lasagna bite into flour, then egg wash. Shake off access and then roll in bread crumbs. For faster and cleaner frying. First bread all lasgana pieces and place on a parchment lined sheet. Then fry all bites in 2-3 batches. 4. Fry lasagna bites until these are golden brown and crispy from all sides; about 4 to 5 minutes. 5. Drain on plate lined with paper towel. Repeat for all sliced lasagna. 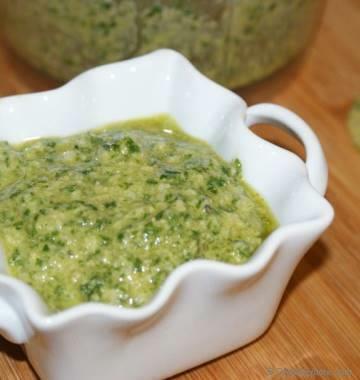 Garnish with fresh chopped basil and Parmesan cheese. 6. For marinara dipping sauce, heat olive oil in a pan. Add minced garlic and perfume the oil for 30 seconds. (don't let garlic burn). Add marinara sauce, half of chopped basil and let it heat through. Remove in serving bowl. Serve family-style in a big platter with sauce. Or serve family movie-style in individual cups with a few tbsp of marinara sauce at bottom of each cup. Serve and enjoy the movie! I am throwing a get together next month Savita and was scrolling Pinterest for ideas when came across this. These bites are just so tempting and colourful and I have added them to the list. Maybe I would try them between me and S first and if they turn out good, would serve them in the party. thank, Nupur! 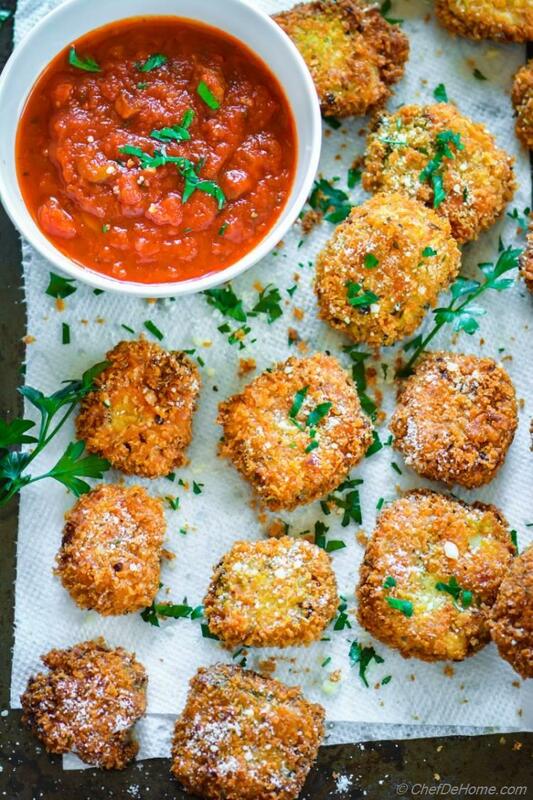 These lasagna bites are my fav to serve for parties. I hope you like'em when you get chance to try! Okay, how clever are you!? These are adorable and look SO delicious!! Thanks for sharing! thanks, Karly for so sweet feedback! 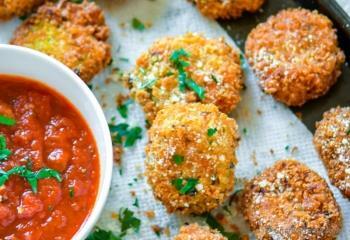 These lasagna bites actually are adorable and delicious!! Valera, you can use any kind of oil you prefer. Infact these lasagna bites can also be baked with just a spray of oil - 425, about 10 minutes! Hi, can I use meat lasagna? Hi Erika, yes you can use any lasagna of choice. 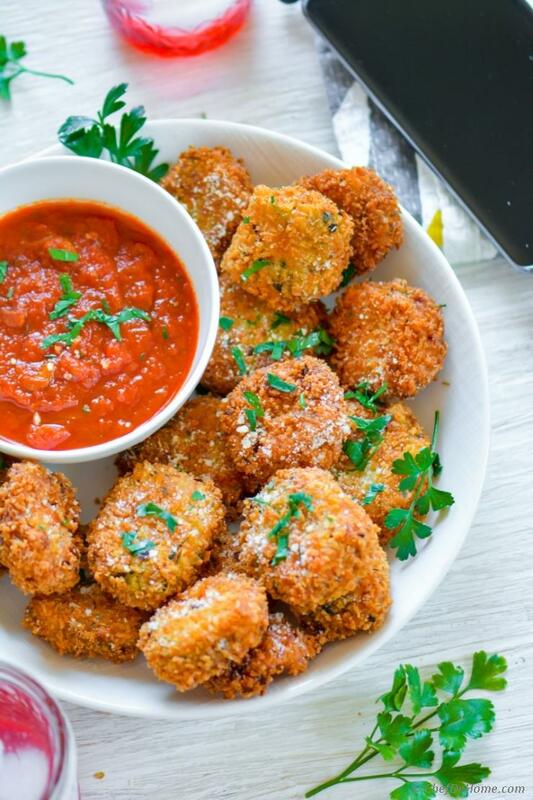 I often use spinach or veggie for personal preference but fried bites are very versatile, use meat or even plain cheese lasagna is fine too. I hope it helps. 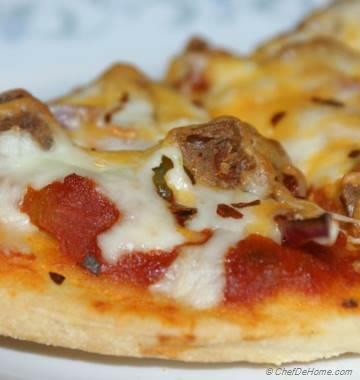 This looks like perfect game night snack! I fry ravioli for snack all the time but never tried lasagna. I will try it soon! thanks, Neeli! i'm glad you like it!